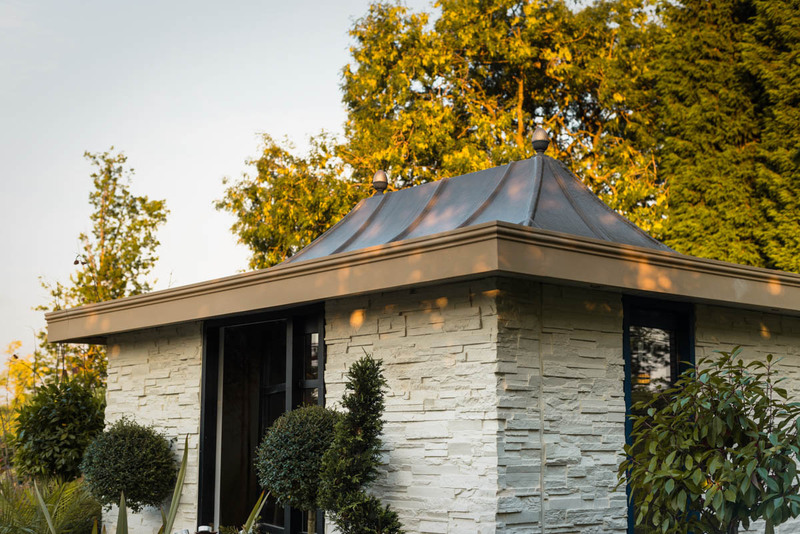 With a background in Interior, furniture and architectural design we have worked closely with a specialist company to create the Pavilion Garden Studios. Manufactured in a maintenance free material that will give many years of trouble-free enjoyment and designed to be a centrepiece of any garden. Our team of surveyors, designers, ground workers and installation team make the experience from start to finish easy and stress-free. The Pavilion Garden Studio range is brand new to the market and while we have assembled and reassembled the buildings many times for development and training, we do not have a showroom to demonstrate the range. However, we do believe that our customers should be our ambassadors and offer real testament to the buildings their function and us as a company. Anyone wishing to act as our ambassador will receive not just a discounted installation but the opportunity to earn rewards for any orders we take following a client visit. Please feel free to call us for a chat and learn more about this wonderful offer.